This is a photo I had fun with! 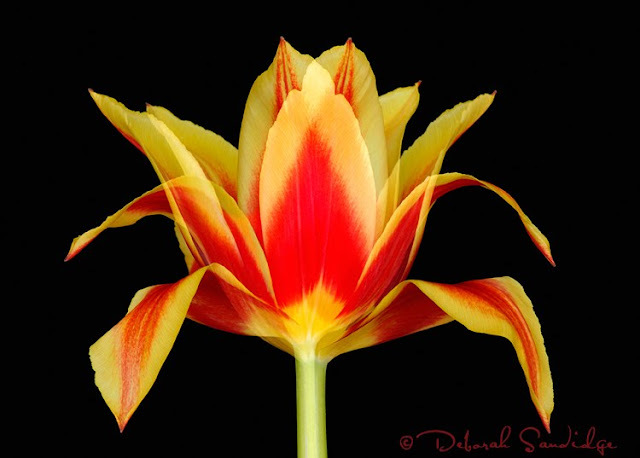 Actually, it's two photographs of a single tulip merged together in-camera as a double exposure. In the past, it was great to do this with film for creative effects, but much harder (and more expensive to experiment with). Multiple exposures can be accomplished digitally with a variety of cameras such as the Nikon D3, no Photoshop needed! Multiple exposures create an interesting and beautiful interpretation of a single flower, try it! Set your camera for two exposures using the multiple exposure option, or just use the image overlay feature. I find it's easier to use image overlay, and choose which photos to merge from the camera display. If your camera doesn't have these options, you can use Photoshop to blend the images (experiment with various blend modes, such as Overlay or Multiply). Black velvet makes the perfect background, and is available at most fabric stores. Use a tripod, cable release, and compose your flower for the most dramatic presentation. Next, reposition the flower slightly and make a second exposure. If you are using the multiple exposure feature, the images are blended immediately. Image overlay allows you to choose which images to blend. 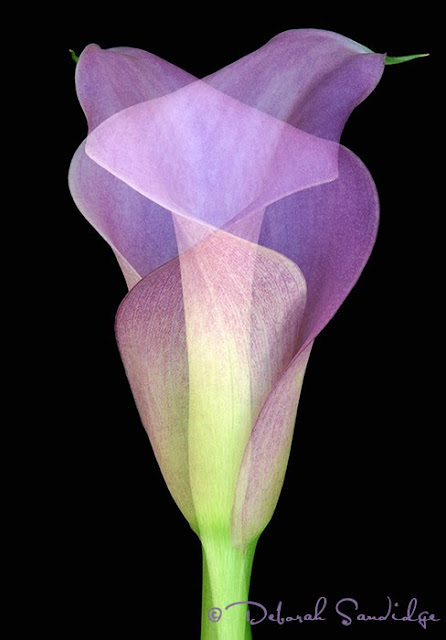 Below is another example of two images combined in-camera accomplished by slightly repositioning the calla lily.